During the first week of September, while many water integrity experts were in Stockholm, I was in Bonn providing a workshop on corruption in the water sector at the third Youth Future Conference. 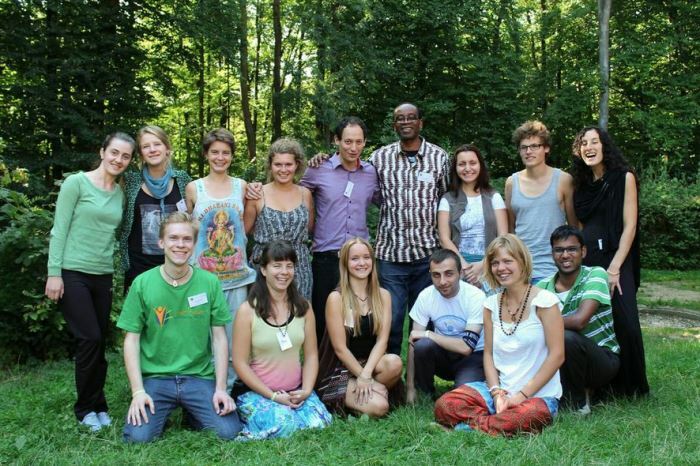 This European conference was organised by a German group of students from the Youth Future Project e.V. inviting about 120 young people from all over Europe, more than 20 experts in the field of sustainability, 20 junior scientists as well as nine laureates of the Right Livelihood Award (“Alternative Nobel Prize”) and the German Environment Prize – and I had the honour and pleasure to be among those people. The aim of the conference was to work together, from an interdisciplinary and multi-perspective angle, on challenges and innovative solutions in the field of sustainability. This happened in nine workshops, lectures, and discussions and finally resulted in ten innovative and international projects which participants either initiated or developed during the conference. One of the workstreams was titled “Water – common resource or privatized good?“. Within this workstream I provided a workshop about integrity risks in the water sector as well as institutional deficits in the respective countries of the participants. Furthermore, we discussed approaches to mitigate these risks as a prerequisite for a sustainable water provision. In between the two workshop blocks Nnimmo Bassey, a Nigerian environmental activist, chair of Friends of the Earth International, passionate poet and laureate of the Right Livelihood Award 2010, joined the workstream to share his experiences about his untiring fight for environmental and human rights with the participants. I was delighted to see the high interest in the water integrity topic and the very active participation in all the questions I raised. The exchange on personal experiences in their respective country and the insight into the potential power of integrity tools like a Right to Information Act had an eye-opening effect to some of the participants who have not dealt with corruption in such a dedicated way before. I was not invited to this conference in the first place. When I happened to read about the water workstream and the fact that a methodical workshop on integrity systems was not part of it, I offered to prepare this workshop part and the organisers immediately accepted it. I consider this an efficient and effective way to reach a broader audience in order to spread the ideas of the water integrity community and to recruit new ‘water warriors’ (by the way, I have read this vivid title on a business card of a colleague at the Water Integrity Forum in Delft this year). Sometimes it can be a ‘low-resource alternative’ to identify an event where a focused discussion of integrity risks and tools is necessary but missing and to offer our input instead of organising our own public discussion. Due to their fruitful breeding ground, events with youth participation are a particularly good choice in this respect and I guess the next university or youth organisation is not so far away from you, is it? Christoph Kowalewski, is currently working in the Governance, Risk & Compliance-department of an international consulting company in Munich/ Germany. He supported the United Nations Development Programme as virtual professor by lecturing on “Increasing Transparency, Accountability and Participation in the Water Sector” in 2013 and has been a member of the German chapter of Transparency International since 2008.